Home > share Market > The Best Process of Share Investing..! The Best Process of Share Investing..! Many investors who were unsure about investing in equity may have been disappointed last week when the markets BSE SENSEX) cross the 30000 mark. The disappointment would have come as they had the cash but not the courage to invest in stocks. 1. Surge in Share Markets..! In the four months of 2017, the Sensex has given an absolute return of over 12% and an annualised 17% returns in 2016-17. It is a healthy and encouraging sign for investors. With only equity as an asset class being in the green for the past few months, investors who could not gather courage to participate in the rally may feel left out and regret their decision not to invest in the equity market. 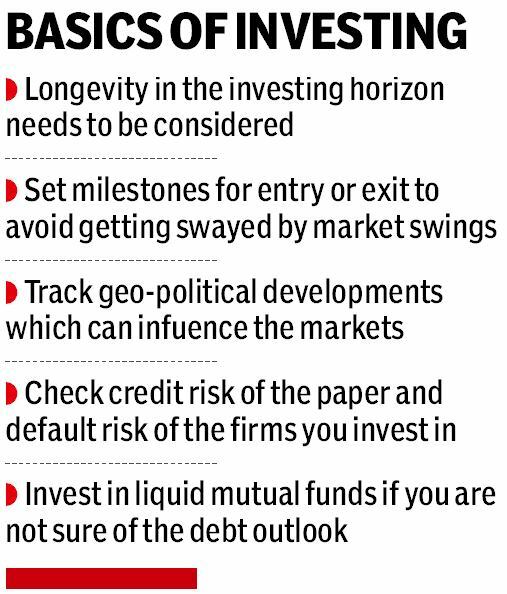 Over the years, the Sensex has crossed several milestones and one can start investing in markets anytime without any regret. Now, with stock prices running up, fence-sitters may be afraid that entering the market could be tricky. In fact, the premise of investing based only on the price is itself incorrect. 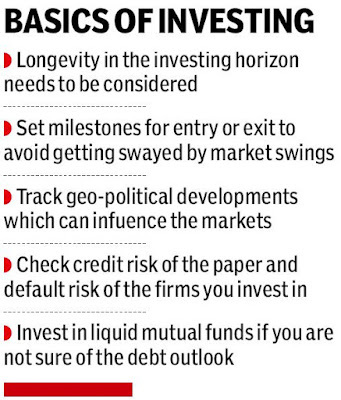 You must invest based on the fundamentals and the investing horizon and the prospects of the investing company. This elementary framework is ignored in the euphoria of rising or falling prices. In both the cases, many a time it’s a one-way street. Investing based on prices and quick exit is trading and not investing. We need to be clear on that. In 2009, between March and September, the SENSEX Delivered an absolute return of over 92% in less than seven months. And it was a one-way move. Again in 2014, between January and August, the Sensex delivered an absolute return of over 29% in less than eight months. Now in 2017, between January and April four months the 30-share markets barometer has already given double-digit return. So, what causes this regret bias for not investing is the desire to ‘time’ the market. Again, it is ‘time in the market’, rather than ‘timing the market’ that is the key to investing. Remember, action based on price is trading. 2. Process of share investing..! So, if you missed the rally in 2009, 2014 and now again in the early part 2017, what can be done to ensure that you do not miss the rally next time? In fact, in the current rally, many stocks have move up 30 to 100%. As the markets can move up further, getting the framework right is critical. In war time, be prepared for peace and in peace time be prepared for war. This military adage is also applicable for investing. After events such as Brexit, demonetisation, US elections and their impact, the equity markets moved up this year. Before investing, look at the fundamentals, look at the moat, look at the promoter pedigree, the cash flow statement and the balance sheet. Also, make informal enquires with the dealers of the products of the company you want to invest in. Having an investment framework, with written rules for action is the approach. Knee-jerk action or timing the market can bring success intermittently. But then, for constant hits, having a written framework is the approach. The writer Mr. Brijesh Damodaran is managing partner, BellWether Advisors LLP.